Christine Blower, the general secretary of the NUT, has warned that holidays risk becoming ‘the preserve of the middle classes’. She is calling for the law to be changed so that parents can take their children out of school for a week in term time without being fined. Under the current system, introduced by Michael Gove in 2013, parents who take their children on holiday in term time are hit with an initial fine of £60; if they do not pay they could face a jail sentence. However, this seems to be a risk many parents are willing to take. In August 2014 the BBC found that almost 64,000 fines had been issued since September 2013, and it’s little wonder when you consider that £60 is much, much cheaper than the difference between flights and hotels in term time and in holiday time. But this is not the case for all parents. For some, £60 could be the difference between being able to take children on holiday and not – holiday parks and cottages within the UK also up their prices for the school holidays. This may sound like a bit of a luxury problem, but it’s unfair if some children miss out on new experiences and time spent with their families because of a law which is clearly discriminatory. This is one problem of inequality that is fairly simple to solve. But there is nothing to suggest that this would be a ‘regular’ occurrence. If money is an issue, families are unlikely to be taking their children on more than one holiday a year. Nor does it have to be huge amounts of time; even booking two days before the start of the school holidays can save money. The undeniable fact is that Michael Gove’s ruling has a disproportionate effect on low-paid families. A worker on NMW could expect to take home about £1,105 a month. In September, two adults and two children could fly Stansted – Faro return with Ryanair for £565. In August this same trip would cost a staggering £1,541 – more than a month’s salary. Airlines have a part to play here too – last year a petition to stop holiday companies charging more in school holidays reached 170,000 signatures. It could be argued that poorer children do worse in school and so they should spend as much time there as possible. But contact time alone cannot dramatically change a child’s performance in school. Likely factors in the attainment gap are a lack of self-confidence, poor parenting and worse-performing schools. In fact, a report by the Education Select Committee found that 50 per cent of pupils eligible for free school meals would achieve a benchmark of five good GCSEs if they attended a school rated by Ofsted as outstanding. The fact that holidays can have a positive effect on children’s mental health and on family relationships should also be taken into account when considering the achievements of poor children. 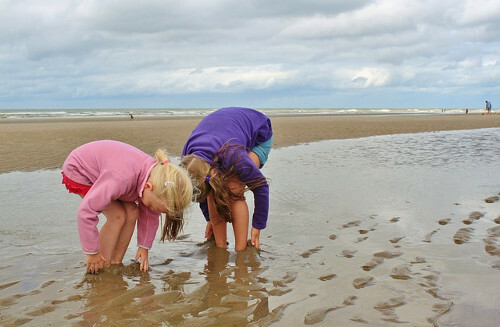 “Holidays can provide valuable experiences and outdoor learning opportunities. If the motion was passed, a cap could be put in place to limit the number of days a child could be absent in term time, as well as a comprehensive system to ensure children could catch up in homework, or through e-learning systems which are increasingly popular. The system as it stands entrenches class divisions in a way which makes sure they will be visible even to young children. Changing it can ensure that at least some childhood opportunities are open to all. Price isn’t the only issue. Some holidays incorporate cultural or family obligations abroad that do not fit with UK term times. Also pitching the fine at £60 per adult per child is a level that while not prohibitive for most, is sufficient to alienate parents from the school that fines them, or cause serious antagonism between separated parents. Stupid, stupid policy! Yeah, it’s only your child’s education. They can do that anytime. Lying on the beach or shaking hands with Mickey Mouse is much more important. ..And will often teach the kid far more than the “memorise this” as the only thing taught under Gove today, which can be caught up to with no issues. And? Only a non-parent would write that. So you’re claiming that parents are all good with Gove’s memorisation-only approach. And that kids learn nothing on holiday. Right. Despite the widespread detestation of this sort of rule. Basically, “because” and “think of the children”. Not true! Many parents feel this way. Many parents are immensely angry- and rightly so- about Gove’s blind dogma approach to education. The more divided we become, as a society, the more likely greater numbers of families are not to be able to afford to holiday during the school holidays. And the divisive act of the child’s school enforcing the government-imposed fine can only serve to further alienate less affluent families. But then, ‘division’ is where this Coalition is at, it’s what fuels them and sustains them. Goodness me Jack – it doesn’t sound as though you make very much of your holidays!